We wrapped up the holidays just in time for the New Year. January came and went, but not before Brian and Andy met with each office individually for our 4th Quarter Recap and Progress meetings. We discussed things like our ideal clients, how best to spend our down time, and the company's growth. 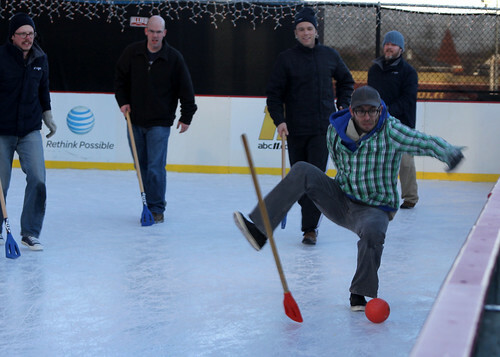 This year we fully embraced the winter season and planned 3 separate winter-themed events. 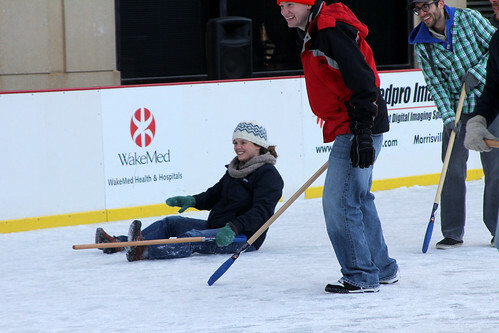 Falls Church and Durham channeled their inner Michelle Kwan and showed off their best moves on the ice. 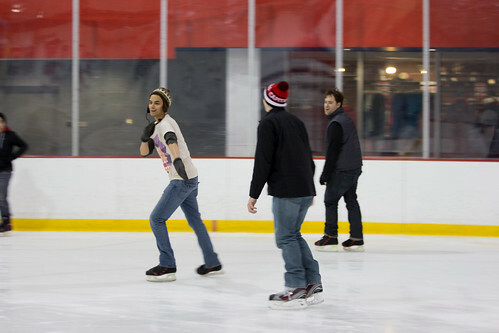 We had different levels of skating ability ranging from childhood figure skaters to never been ice skating, so we warmed up with an obstacle course that included skating between cones, skating backwards, and hula hooping while on ice skates. 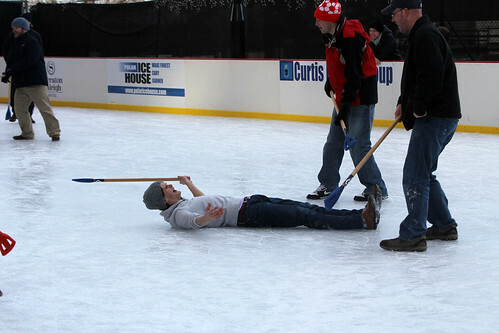 For the most part it was a hot mess, but got everyone comfortable being in ice skates and with falling. 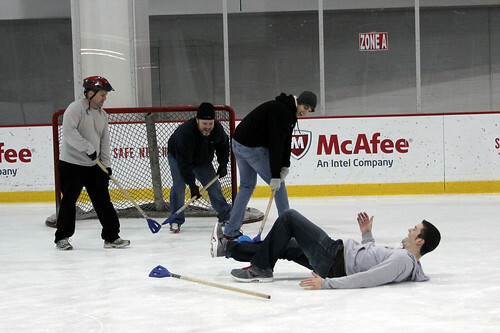 Once the ice was scuffed up, we formed teams for a few games of broomball, which is basically ice hockey but in sneakers. 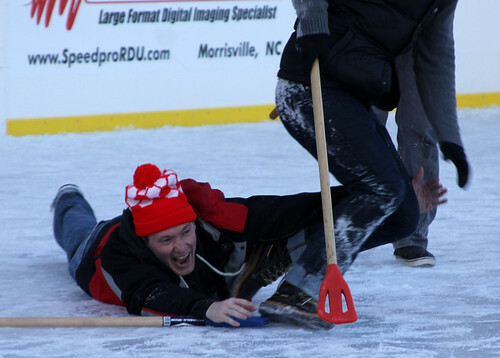 We scored, we cheered, but mostly we fell ... hard. Boulder has had some pretty low-key events as of late, so we decided to up the adrenaline and go snowmobling with Good Times Adventures. 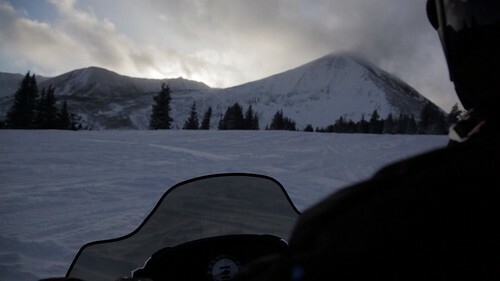 We rode up to the Continental Divide, which is over 11,000 feet in elevation, and watched the sun set behind the mountains. Watch out! We're fiercely attacking 2013!